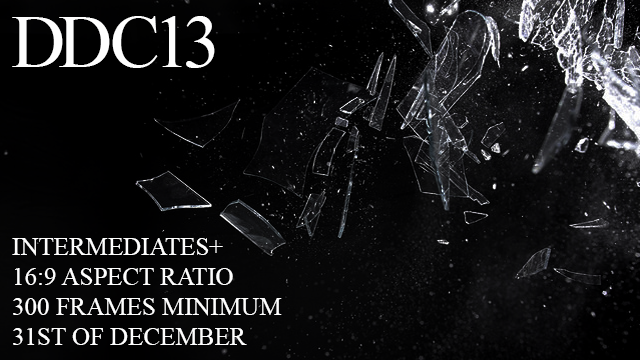 Re: DDC13 - Out Now! It feels so good to see people commenting and getting excited about something pivot related again. Glad to know that Pivot just may not be as dead as we all think. Thanks for nurturing another DDC, Jojishi! I love the simple theme and variety of pacing and music in this one. It's got slow, ponderous moments, beautifully crafted traditional stick fights, plenty of throwbacks, a solid dose of cinematography, and even emotional dinosaur eyes. The only thing it's missing is a blimp. Sheesh, those dinosaurs. I don't know how you juggled so many details and still managed to make the animation gel, AlpK, but it all works so smoothly. It's even timed to the music! You must have used that weird technique called planning. It's wonderful. We've all got Tuna to thank for the bird! The joint had stagnated for a couple of weeks before he dropped it in, and it took off again from there. Too bad the frame rate was a bit quick, but on the flip side, it does match the music better this way. Pivot is such a weird medium. It's always heartwarming to see it shine in these collabs, in its own quirky way. Turned out great, it's lovely to see that the community can still produce something together. I've got to give it to Alp's dinosaur animation though, that was crazy, mad props to him. Weird that I've never heard of him before! The joint between Gifgiff, Tuna and Flame was also really well animated. It captured great thought and emotion I loved it, the plot was also really nice. Great to see something other than violence and fighting being animated in pivot. Amazing job everyone you guys should be proud of what you created. I felt like an 8 year old again watching this. Just sitting in front of my screen with my jaw dropped in awe of the cool pivot animations I was watching. As one who animates dinosaurs as well, I found Alp's out of this world. I loved every moment in it, my jaw dropped even further looking at the 3d shots he made while knowing he had to redraw the whole dinosaur for every perspective shown. Flame, gifgiffs and Tuna's I thought was flash, honestly. Each creature was given so much character into their movement, it was a sight for sore eyes tbh. Those dinosaurs were impeccably well done, that's amazing work. Loved the creativity of gifgiffs/flame/tuna joint entry as well. All the animation were great. Impressed to see people with such skill in pivot still. It was very nostalgic for me to watch a DDC again. Wow, the list gets shorter every year doesn't it. There were a few real gems in there though! Seriously though, may be about time to throw in the towel. Yeah DDC maybe best to end it here, or push it for a DDCF (F for final). But good stuff nonetheless. Flashing was quite nice as expected from jojishi, Ussay's entry was really clean imo, and Flame/Tuna/Gifgiff's joint was most original I would say, and these are the ones that stood out to me. Rest is still really great. Loved them all. Popped in to say great job on the recent collab and I'm happy to see that the community is still breathing creativity. Crazy to see the diversity in animation and the potential pivot offers the animators these days. Grays stood out to me, animation flowed nicely and was pleasant to watch all them old stks. Great work all. Absolutely phenomenal work guys - the ending was mind blowing! The collab is finished. Also, please stop quadruple posting.